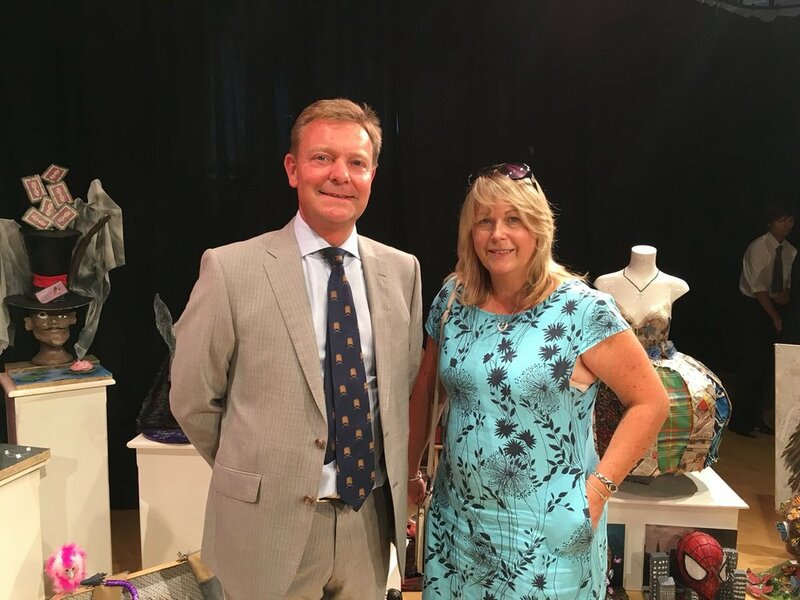 Local MP, Craig Mackinlay, has attended this year’s Arts Festival at The Charles Dickens School in Broadstairs. The exhibition in the School’s Theatre displayed the outstanding work produced by the School’s Art, Design and Technology, and Graphics’ Year 11 students for their GCSE examination. There were also performances by music students, as well as coursework submissions from highly talented GCSE Dance, Music and Drama students. Year 10 Food Technology students served a range of food they had prepared earlier in the day, while Year 10 Inspiring Minds students and Years 9 and 10 Brilliant Club pupils gave presentations during the course of the evening. The Unit for Visually Impaired students showed off some of the work they do and the types of preparation needed to support their learning. Also in attendance was Guide Dogs For The Blind who briefed attendees on how guide dogs support both inside the School and out in the community. “Top marks to The Charles Dickens School for their Arts Festival. “The artwork was outstanding, the dramatic interpretation on the Holocaust haunting and powerful, the canapes planned and prepared by the students superb.